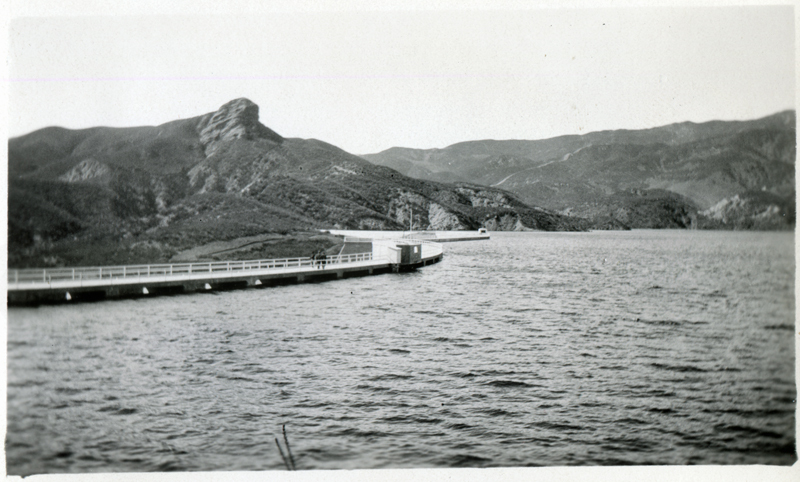 This is another contemporary copy of this photograph, which for many years was thought to the be the last view of the St. Francis Dam intact (until this one showed up). We've seen "original" glossy prints of this image in three or four different places, suggesting it was mass produced as a souvenir after the dam broke on the night of March 12, 1928. This 2½x4-inch print was purchased, with others, at a flea market — so we don't know the circumstances of its existence — and there are duplicates of it in this "flea market" grouping, with slightly different exposures. DI2802: 19200 dpi jpeg from original print.